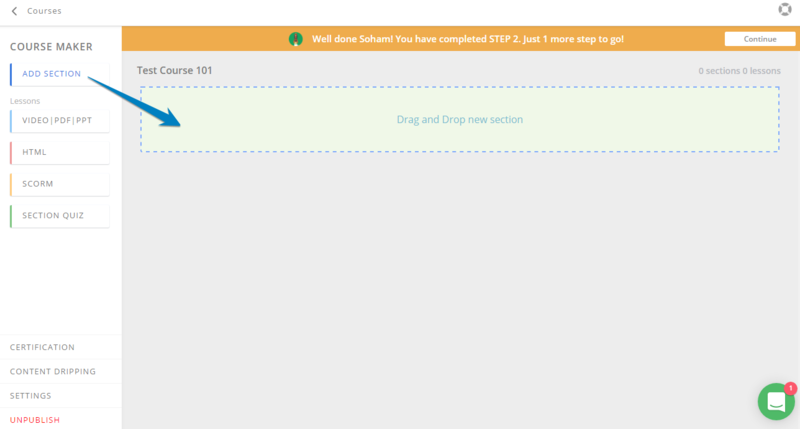 Inside the course builder, you can create sections to group your lessons/chapters or tests together. 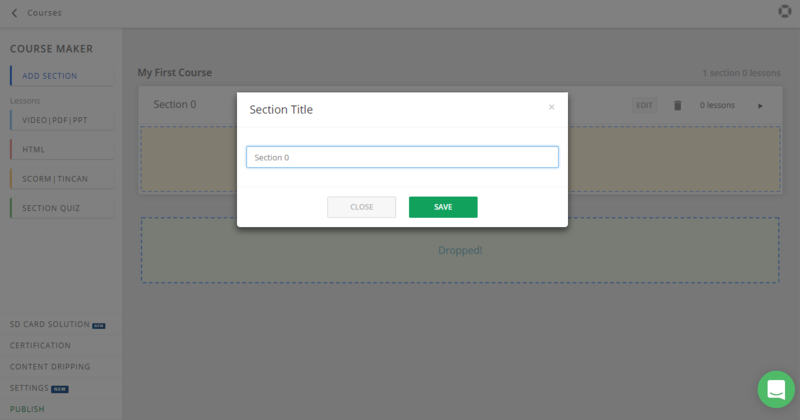 Here is how you can create a section in course builder. In course builder page click on Add Section button on left panel or drag and drop the Add Section button to the right panel which says "Drag and drop sections here"